Gorgeous!!! Even better in person!!! 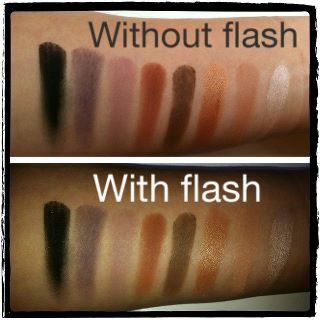 These Shadows are high quality without the price tag! I would easily put them in the same category as MAC! Now that's a bold statement! They are smooth, creamy & very easy to blend. You do need to buy your own palette to put them in, such as, MAC palettes or Z Palettes (which you can buy off of Makeup geek). I do wish that the shadow pans were magnetic so they could just be slapped right into a palette, but I can let that go because these are AMAZING!!!! Lets not forget about the adorable packaging. It's so cute... Love it right down to the print on the eye shadow folder. Every detail was taught of. My Hat is off to you, Miss Marlena. You made 48 Beautiful Shadows & for that I Thank you! Can you buy these shadows in any store or just online through her website? How do you buy? I usually only buy MAC, but because you are recommending it, I would consider it! 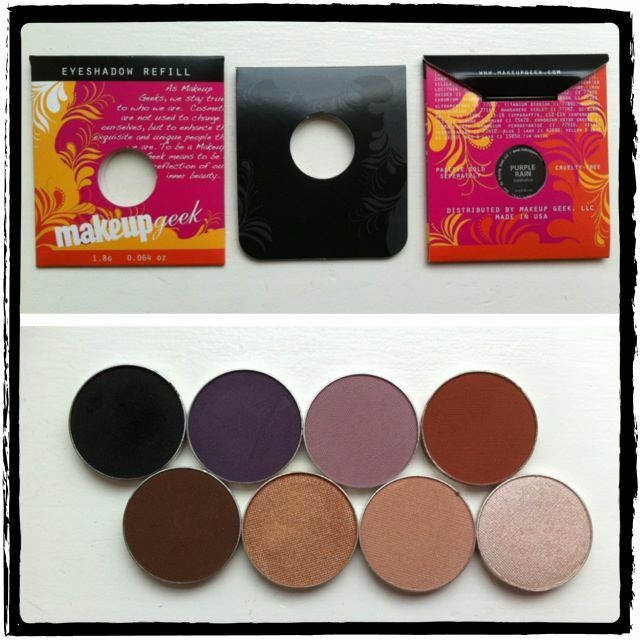 Go to makeupgeek.com/store all the products she sells are there!!! I also recommend her line of brushes!!! 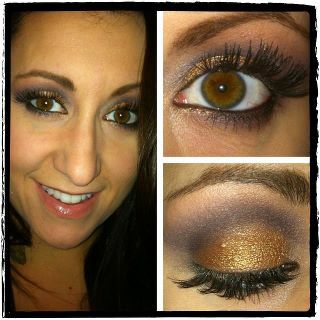 I love the purple with the gold! We have similar eye color and hair color. I am going to have to get those colors and try that look. Nice job! !